This guy is a nutball. He’s eccentric, off-kilter and perhaps, just perhaps, tapped into the universal and united treatise that makes us all free peoples. 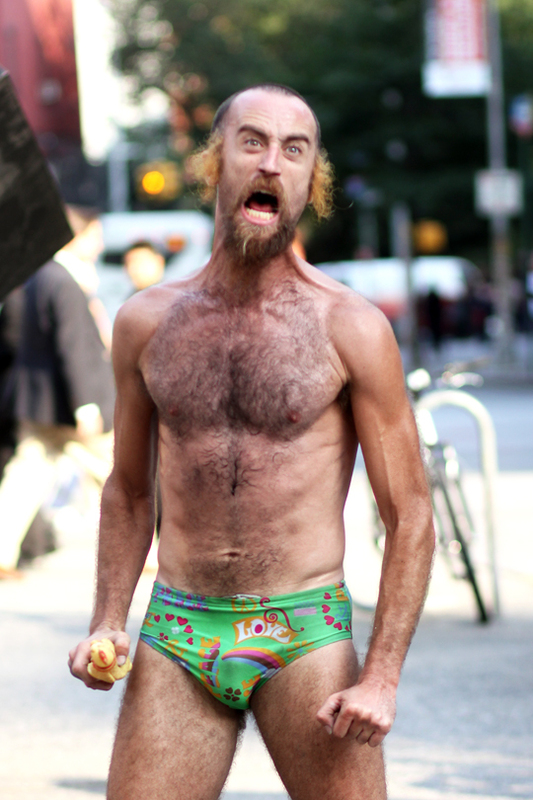 His name is Matthew Silver, performance artist and improv/stream of consciousness genius. I have great admiration for what this man does. He challenges society to look beyond physical presentation and listen to underlying truths and even absurdities in life. He makes us laugh when we prefer to watch and judge, challenging us to drop the facades we hold so tightly to. He makes us ask: Who are we trying to impress all the time? What is this form of life we cannot look beyond? And he reveals how to break down the very essences of our daily trappings. Perhaps his methodology is extreme, but it is the crazy and extreme that we need to combat an insane society viewing itself as the litmus norm. He shows us that taking social risk isn’t necessarily something to be feared but embraced and enjoyed with each other. He is one man capable of provoking ideas and emotions within us that we do not readily know how to express. All of this in the guise of humorous and random street performance. Yes, much of his performances can be perceived as complete jibberish, but if you’re willing to stick around, eventually, you will hear the greatest of wisdom come. Through the paradox of life and mirror of confusion comes simple truth from the most unlikeliest of places. I salute you Matthew Silver. Bacock! phbbbtttt!